Picking up where the last episode left off, Toolroom TV round five concludes Mark Knight’s TK6 tour, talks to Crazy P at Ministry Of Sound, and revisits Holland to get the lowdown on two of its biggest rising stars – Nicky Romero and Dannic. Part five kicks off accompanying Mark Knight on the road with his TK6 trip. Manchester’s first, and on route Mark picks his biggest track of 2012 for DJ Mag. An explosive Thursday night at Sound Control follows, and then it’s to Belfast for the penultimate tour gig. Reflecting on the TK6 reactions to Toolroom favourite ‘Alright’, Mark hints that bigger things could be afoot for the record. Dublin and Amsterdam follow and sign off the 6th birthday with style. Back at Ministry Of Sound and Toolroom TV talks with Crazy P who reveal big plans, as well as disclosing how their unique setup has developed over the years. Next up Holland’s Dannic delves deep into the successes of the Dutch scene, tells how he tailors his DJ sets, and exclusively reveals his next big Toolroom release - ‘Clobber’. Finally, Nicky Romero explains the idea behind his record label Protocol Recordings, reflects on how lucky he is to be part of EDM culture, and offers invaluable advice for anyone trying to make it in the industry. 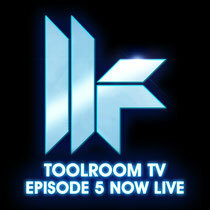 Set to a soundtrack of upcoming Toolroom tracks, you can check it out below.